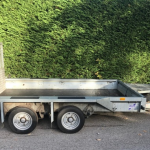 This entry was posted in Blogs and tagged Local Company, Local Service, Mobile Service, Mobile Towbar Installation, Towbars, Towing. Bookmark the permalink. 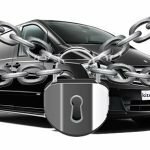 This entry was posted in Blogs, News and tagged autowatch, keyless theft, Vehicle Security. Bookmark the permalink. The Tarmac spec from Keltruck Scania uses all Brigade Electronics FORS compliant safety devices except the Redtronic beacon bar, led strobes, bbs tek reverse alarm and high voltage power detector. 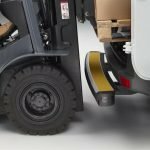 This entry was posted in News, Product Information and tagged Cyclist Safety, FORS accreditation, FORS compliance, Mobile Service, on-site safety, Pedestrian Safety, Vehicle Safety equipment. Bookmark the permalink. 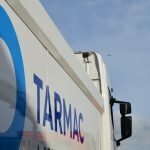 This entry was posted in Blogs, News, Product Information and tagged FORS accreditation, FORS compliance, FORS Silver, Mobile Service. Bookmark the permalink. What Makes The Rhino Impact Step Stand Out? 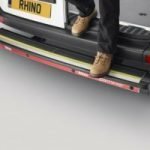 This entry was posted in Blogs, Product Information and tagged Protection Bar, Rear Step, Rhino, Rhino accessories, Rhino ImpactStep. Bookmark the permalink. 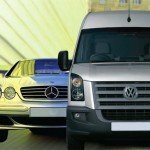 This entry was posted in Blogs, How to and tagged Van Security, Vehicle Security, Vehicle Theft. Bookmark the permalink. This entry was posted in News, Product Information and tagged Connect+, Rear Step, Rhino. Bookmark the permalink. Latest News – Our new & improved 360° Vehicle Camera is now Available! 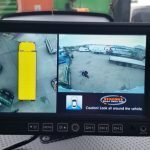 This entry was posted in Blogs, News, Product Information, Uncategorised and tagged 360 vehicle cameras, health and safety, latest technology, on-site safety. Bookmark the permalink. 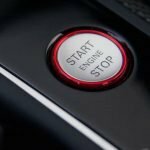 S7, S5 or S5+ Vehicle Tracker – What’s the difference? 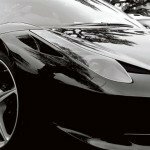 This entry was posted in Blogs, Product Information and tagged Thatcham, Tracking Device, Vehicle Security, Vehicle Tracker, vehicle tracking. Bookmark the permalink. 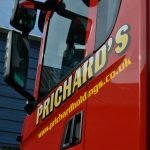 This entry was posted in Blogs, News and tagged S5 Tracker, S7 Tracker, Thatcham, Tracking Devices, Vehicle Tracker Categories, vehicle Trackers. Bookmark the permalink. This entry was posted in Blogs, News and tagged Crisis, Crisis at Christmas. Bookmark the permalink. 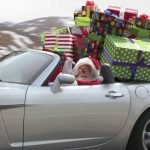 This entry was posted in Blogs, Product Information and tagged bike rack, hands free phone kit, parking sensors, seat covers, top 5 christmas presents for motorists, witness cameras. Bookmark the permalink. Is it law to have reverse lights on a trailer? This entry was posted in Blogs, News. Bookmark the permalink. This entry was posted in Blogs, News and tagged FORS compliance, FORS Gold, FORS News, FORS Silver, FORS Standard. Bookmark the permalink. This entry was posted in Blogs, Product Information and tagged Cat 5 Tracker, Cat 6 Tracker, Fleet Tracker, SmarTrack Tracker, Telemetric Device, Tracker South Wales, Tracking Device, Vehicle Tracker. Bookmark the permalink. 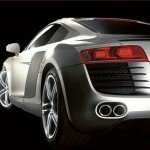 What is an S5+ (formerly Category 5) Vehicle Tracker? An S5+ vehicle tracker is the top of the range vehicle tracking device in UK. S5+ trackers are the highest categorised vehicle security certified by the insurance industry and is tested to Thatcham TSC standard. This entry was posted in Blogs, Product Information and tagged Cat 5 Tracker, Cat 6 Tracker, Vehicle Security, vehicle Trackers. Bookmark the permalink. 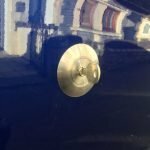 This entry was posted in Blogs, Product Information and tagged Deadlock, Lock Protectors, Locks 4 Vans, Replock, Slamlock, Vans, Vehicle Security, Vehicle Theft. Bookmark the permalink.